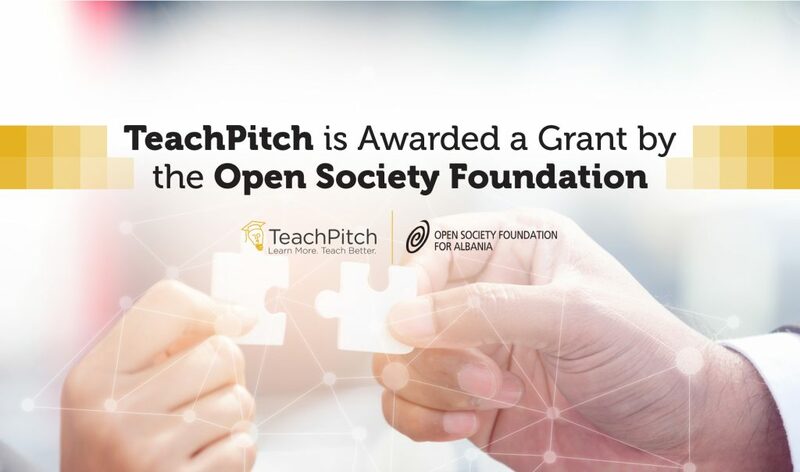 Team TeachPitch is very happy to announce that it has been awarded a significant grant from the Open Society Foundations for the roll-out of its software in a great number of public schools in the Republic of Albania. The grant was awarded as part of the organisation’s School Digitisation Strategy that the Open Society Foundations has initiated in Albania and other Balkan countries for students & teachers to acquire 21st century teaching and learning skills. The Open Society Foundations are committed to empowering young people by supporting efforts to increase access to quality education. From early childhood to higher education, the organisation works to ensure young people from different backgrounds have equal access to education and to promote critical thinking, respect for diverse opinions, and free and open intellectual inquiry. It is really a great honour that the organisation has selected us to work with them to ensure that teachers can work with our technology in their schools. We are very happy with such a robust partnership and grateful to be working with the Open Society Foundation and schools on the ground to make this a success. “We are very aligned with OSF’s mission to ensure that all will have access to a quality education and our team will do our utmost that our technology and our new Digital Skills Course will be used to ensure that Albanian teachers can learn more and teach better through our platform.” said Aldo de Pape, CEO & Founder of TeachPitch.